First Class Communication | What’s your story? Your organization is special, right? Of course it is! You have a mission that’s all your own, accomplishments only you can claim. You know what your real story is, but does anyone else? Telling the story of who you are and where you are going is vital to any organization’s success, be it a start-up, an educational organization, a non-profit or a big business. Unfortunately, that story-telling is a more complex process than it sounds. We’ve found that without a comprehensive strategy to drive every communique you make — and how and when you make it — your story gets lost in the day-to-day shuffle of, well, day-to-day stuff. 1. Your story is what connects the people you need to your organization. People need an emotional connection to be excited about who you are and what you have to offer. Whether that’s a potential donor, customer or client, if you’re not clear about who who are and why you are important to them, you will lose them. 2. 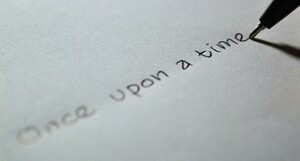 Your story is the backbone of your brand. It not only provides the basis for your “look and feel,” it is the foundation of your organizational values, vision and mode of operation. 3. Your story sets you apart. Your story — your set of main messages — is what lets you stand out from organizations that are similar to you. Without it, you’ll be lost in the crowd. We love helping clients tell their story. Our process is strategic yet simple — research, creativity, implementation and measurement. Contact us if we can help you tell yours!